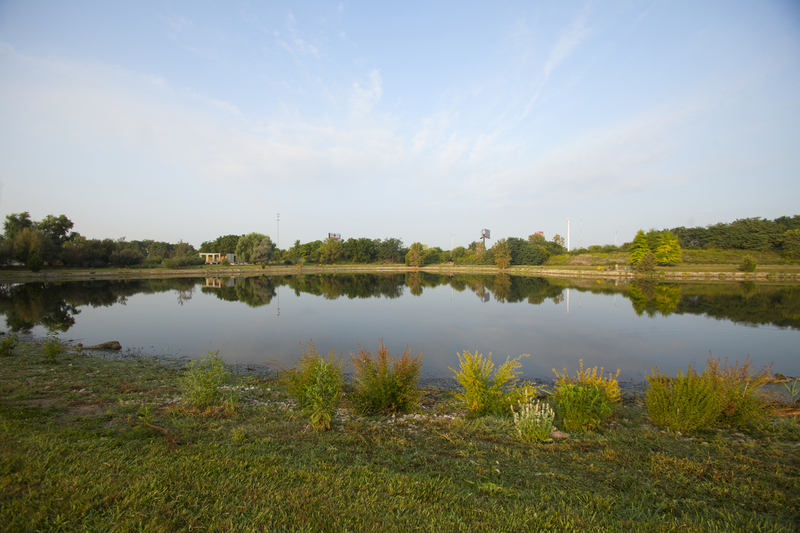 Our Research Lake is just over 3.5 acres. Located in the center of the Arboretum North site, visitors can find an abundance of wildlife taking refuge in and around this habitat. This is a perfect place for a stroll, bird watching, or fishing. It is breathtaking to watch the sun rise and set from this vantage point. Come sit a moment on the benches located around the perimeter of the lake to relax and reflect. The lake-facing steps of the enCORE House also provide a restful viewing point. In 1979-80, as land in the area west of Olentangy River Road and north of Lane Avenue was being relinquished to the development pursuits of the Athletic Department, Jack Havens, president of OSU Board of Trustees and a tree promoter, along with Dean Kottman of the College of Agriculture, retained this buffer zone that would include the lake area and our Arboretum North site. This buffer zone helps blend the residential and university community. On October 3, 1997, as a follow-up to the Arboretum program presented at the 1996 Winter College, Naples, Florida, Janet Oberliesen and the Arboretum Development Committee (including Mary Ann Arthur and Albert Van Fossen) hosted the OSU Naples Alumni group on a bus tour of the Bloch Cancer Survivors' Plaza and the 315 site. Decked out in "Vision Caps" (OSU Block O baseball caps,) the group was asked to envision what the lake site might look like in the future. Of course, at the time, we were standing in waist-high weeds, and it took a bit of vision, but just look at it now with the Donald Mayhew Memorial Grove, the Jones Memorial Grove, the Andy Geiger Aesculus Collection, the Colour Columbus 1,000 native tree collection and the Prairie Plant Research & Monarch Butterfly Waystation all surrounding the lake! 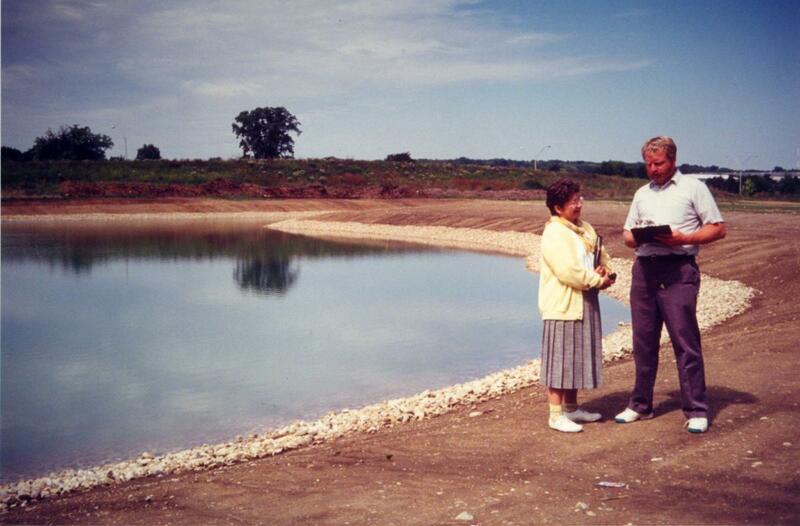 The lake, as yet un-named, was the idea of Physical Facilities director Dean Ramsey, now retired. 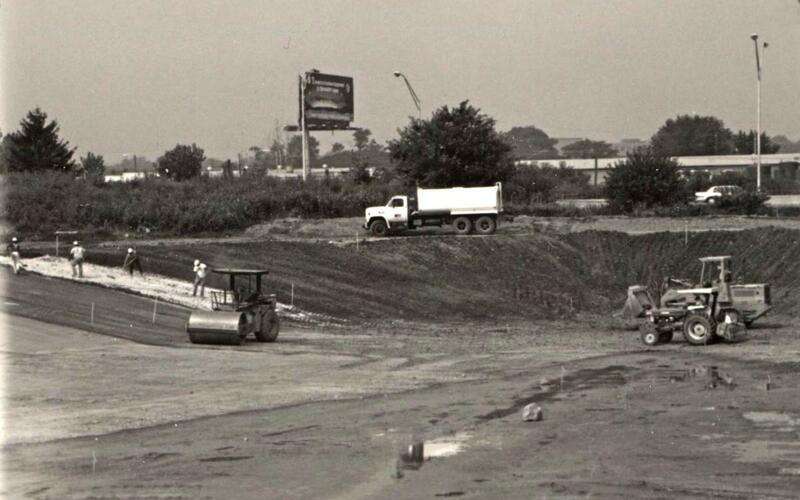 The lake was originally a "borrow pit" for the James Cancer Hospital and the Agricultural Engineering Building. When those buildings were completed, Ramsey thought that the area could become a lake feature. In 1984 planning for the lake began in earnest. Over 100,000 cubic yards of soil was moved from the site. The 25-45 foot hole became a beautiful 3.5-acre lake stocked with fish and surrounded by fauna and flora of Ohio. The lake bed lining was installed by Igel Construction with 396 tons of bentonite mixed with soil. 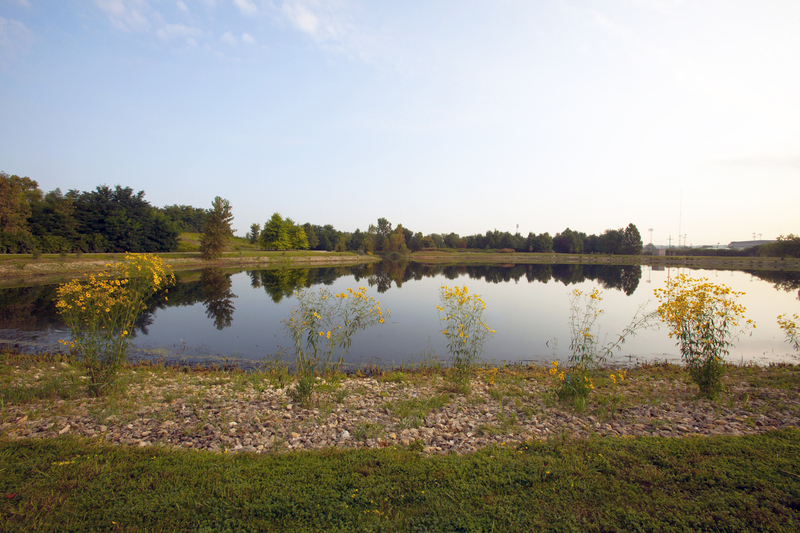 The 3.5-acre lake at our Arboretum North site was completed in 1994 but its dedication awaits an endowment for maintenance of the lake and to give it a proper name. Please contact our arboretum director, Mary Maloney, at 614-688-3479 if you are considering such a gift. 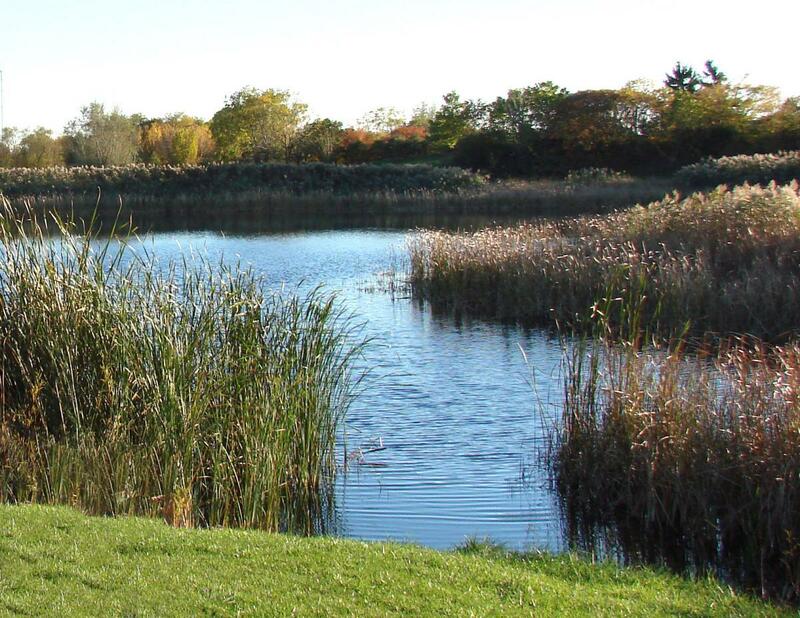 The recent removal of the invasive Phragmites australis surrounding the lake has opened the opportunity for planting many less aggressive, native plants, both woody and herbaceous. 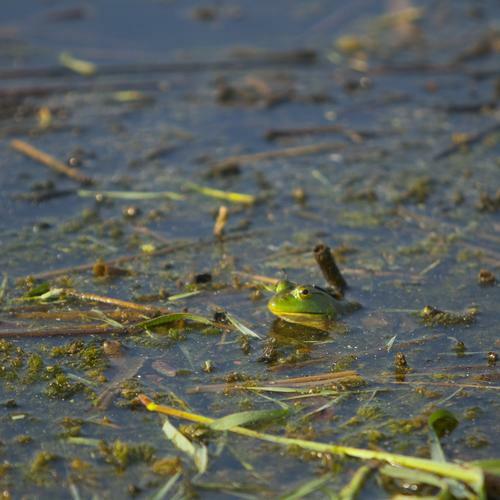 Wildlife abounds in and around the lake. This is a favorite spot for bird watching. It is also a fully stocked lake that offers catch-and-release fishing.